Sometimes, it's better to keep a handgun holster out of site while still having the weapon within quick reach when it's needed. 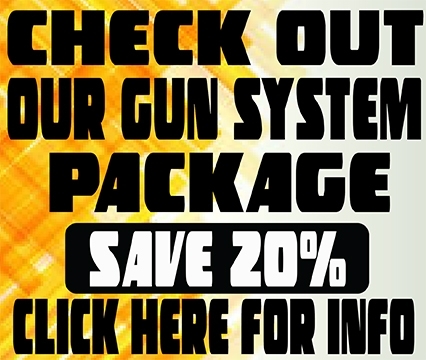 A hidden concealed holster from High Noon Holsters allows you to accomplish both objectives. 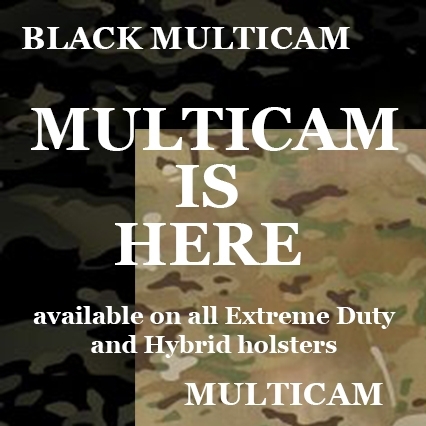 You'll get a durable, high-quality holster that is ideal for any concealed carry situation. The Hidden Ally is a Stocking Item and is a non-molded holster. The recommended carry positions to wear this leather holster are 10, 11, 12, 1, 2, 3, 4. This leather gun holster is to be worn inside the waistband and designed as a low riding holster for deep concealment. It is constructed of thin premium grade cowhide, and this design allows the wearer to completely conceal a small to medium size pistol or revolver without wearing a vest or other outer garment over it. 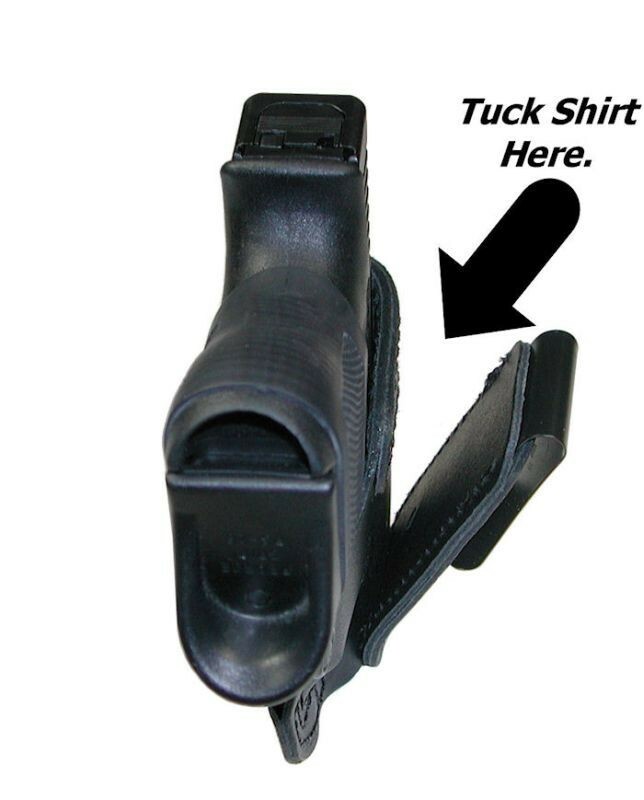 This inside the waistband holster requires only a tucked in shirt for concealment and is designed for those who cannot consistently wear a concealing outer garment. A leather extension allows the wearer to tuck his shirt completely over the weapon and holster. The only visible part of this holster is the belt clip. Weapon access is accomplished by pulling the covering shirt up with the weak hand and drawing with the strong hand. It features a tension screw for adjustment of the draw, straight drop (no cant), open muzzle design. The Hidden Ally is exactly like the Centerfold except for the ride height. The Hidden Ally is a low riding holster for deep concealment, and the Centerfold rides higher for a combat grip. It also features an all steel reverse J clip that locks onto the belt or most pants. The black clip against a black belt fools the eye; you can barely notice it. The leather is just thick enough to provide the right amount of padding, and thin enough that practically disappears. This is the closest thing to wearing no holster at all. It's that thin! 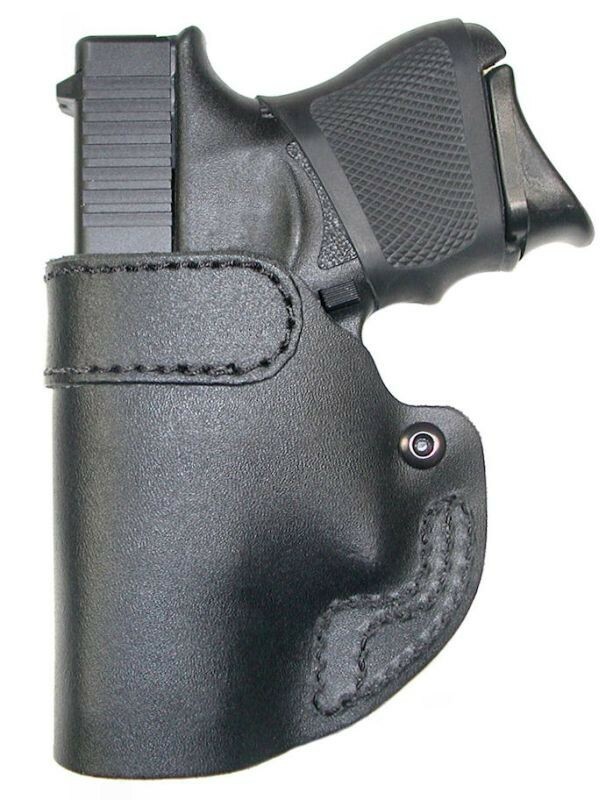 Because of the thin leather, it does not support one-handed reholstering. Available in Right or left hand, black finish only. 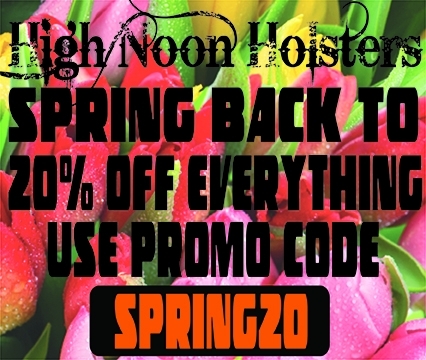 With our more than 20 years of holster manufacturing expertise, High Noon Holsters has the knowledge and experience to handcraft hidden concealed holsters for numerous handgun models produced by the top manufacturers in the industry. 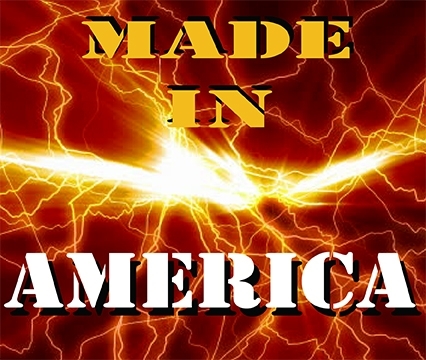 Examples include Glock, Smith & Wesson, Nighthawk, and Remington to name just a few. 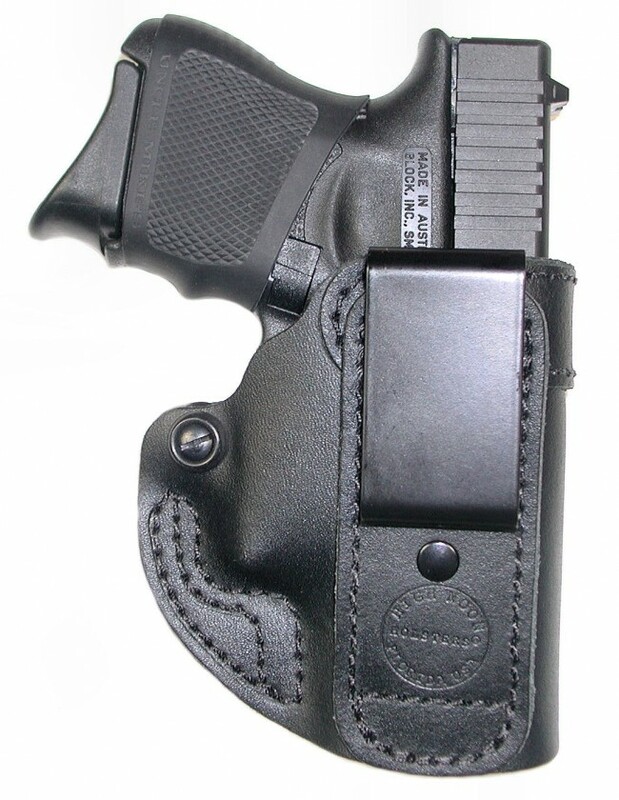 You can also choose a holster tailored for left-handed or right-handed use. We've made ordering our low ride IWB holsters a quick, simple process. Just add the item to your wish list, and when you've finished shopping, complete the fast, secure checkout process. We offer a variety of payment options including Discover, PayPal, MasterCard, Visa and American Express for your convenience. Because the hidden holster is an in-stock item, we can ship it almost immediately — you'll receive it in just a few days! Take a closer look at the Hidden Alley holster right now! If you have questions or need ordering assistance, feel free to give us a call or send us an email.